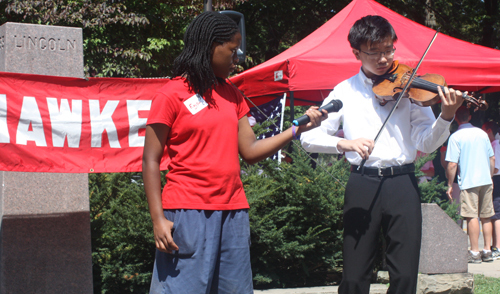 The 65th Annual One World Day celebration took place on Sunday, August 26, 2012. 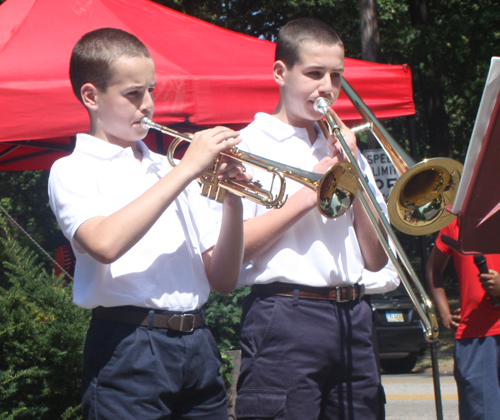 This annual event reflects the theme of the Cleveland Cultural Gardens: �Peace through Mutual Understanding." 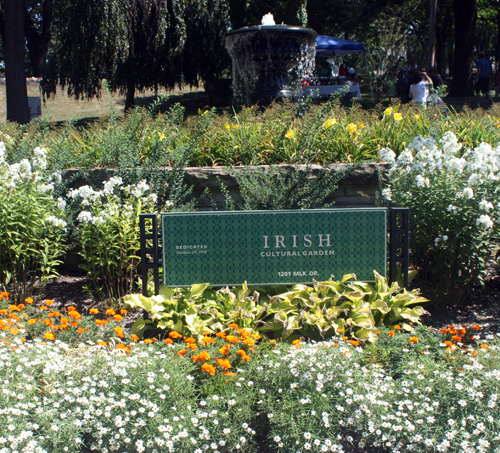 As visitors gathered at the Irish Garden, the host garden for the 2012 event, they had several options. 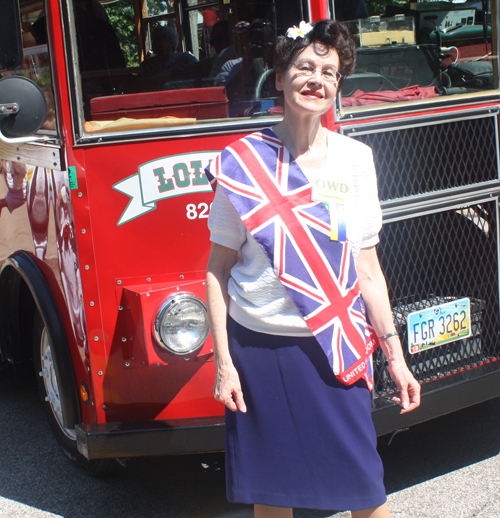 They could enjoy a narrated tour of the Gardens by Mary Hamlin on Lolley the Trolley. 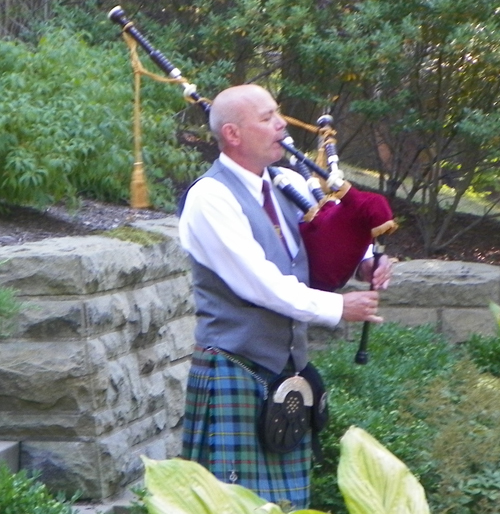 The pre-event entertainment began with Larry Bechtel playing the bagpipes to begin the performances. Early arrivers could then enjoy the music of the band No Strangers Here with Bob Crawford, Pat Hoynes and Larry Bechtel. 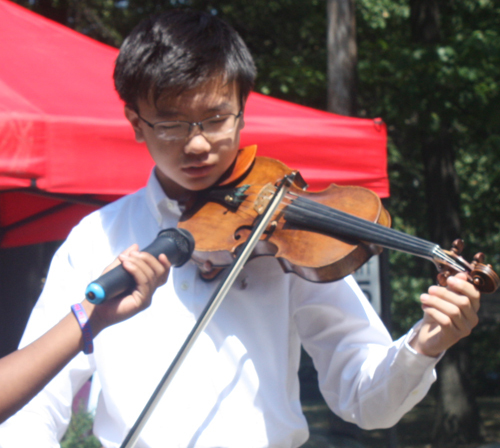 No Strangers Here performed a special version of the Garden Song - Inch by Inch at One World Day. 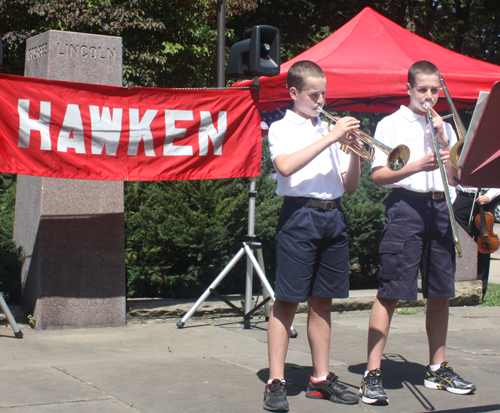 Students from Hawken School also performed. The first official event of One World Day 2012 was the depositing of soil from Croatia and Albania (the 2 newest Gardens) in the Urn of Nations at the American Legion Garden. 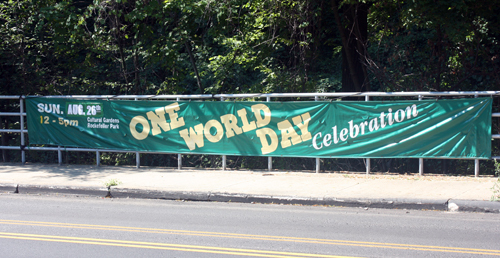 The photos and videos from the 2012 One World Day continue on the next pages. Just follow the links below. Congratulations to Anda Cook, Char Crowley and their committee on a tremendous One World Day. 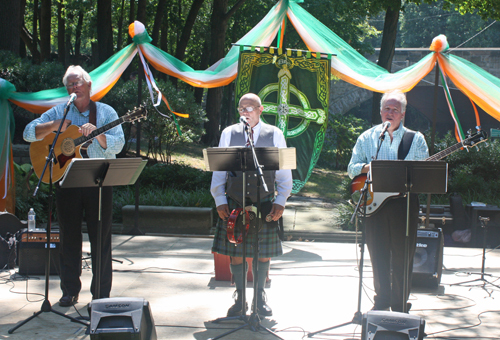 Special thanks to the Irish Cultural Garden for being the 2012 host. One World Day was presented by the Cleveland Cultural Gardens Federation in partnership with Cleveland Council of World Affairs and ClevelandPeople.Com. Want to reach thousands of visitors each day?